Who gets hooked on drugs and who stays clean? 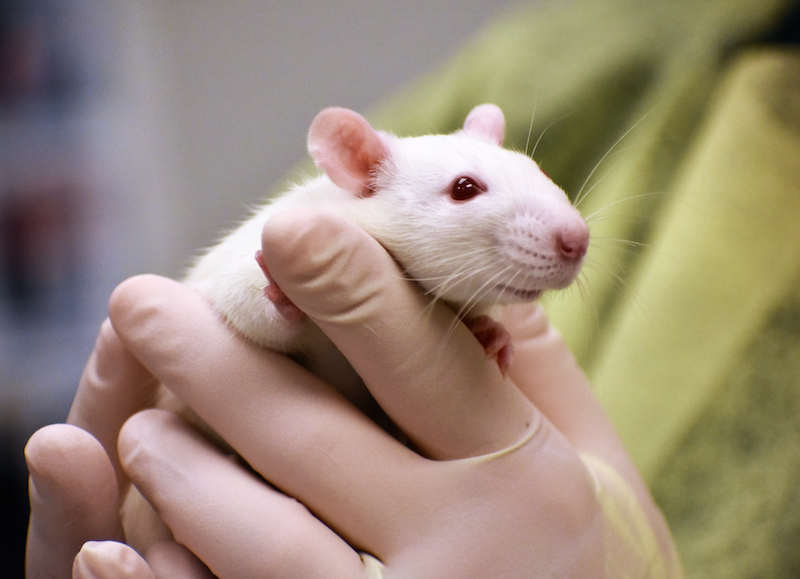 New research, conducted in rats, identifies genetic markers that influence addiction. Why does one person who tries cocaine get addicted while another might use it and then leave it alone? Why do some people who kick a drug habit stay clean while others relapse? And why do some families seem more prone to addiction than others? Answering these questions may have a lot to do with specific genetic factors that vary from individual to individual, a new study in rats suggests. The findings, published in the Proceedings of the National Academy of Sciences, reveal new information about the roles played by both inherited traits and addiction-related changes in the brain. It’s the first time scientists have shown that in selectively bred animals, the propensity for addiction is linked to differences in gene expression for specific molecules in a specific brain region. It’s also the first demonstration that a DNA tag called an epigenetic marker can predispose an individual to addiction and relapse. An animal study can’t explain all the factors that contribute to differences in addiction among humans. But it’s a step. The researchers looked in rats’ brains for the genetic instructions needed to make a key “pleasure receptor,” called D2, which allows brain cells to receive signals sent by the brain chemical dopamine — or by cocaine. They found that more addiction-prone rats had lower levels of D2 instructions to begin with, compared with other rats, in an area of the brain known to play a major role in addiction. The addiction-prone rats were also more likely to carry a specific mark on their DNA called an epigenetic tag. This tag, H3K9me3, kept their brain cells from reading the gene for D2 receptors. After they became hooked on cocaine, the addiction-prone rats had the same levels of D2 as the less addiction-prone ones. And when the cocaine was taken away for a while, these rats were more likely to relapse to addictive behavior if they started out with the epigenetic tag that kept their cells from reading the D2 gene. Meanwhile, a comparison group of rats didn’t show signs of addiction, and didn’t relapse following abstinence. The scientists found that these “addiction-resilient” rats started out with lower levels of instructions for making a different brain molecule also known to play a role in addiction, called FGF2. They were also more likely to carry an epigenetic mark that kept them from reading the FGF2 gene. This might have helped protect them from becoming addicted. This kind of understanding could be a model to help the broader understanding of addiction in humans as well, Flagel says. The more that addiction is seen as having biological roots and origins in genetic traits that are inherited through families or amplified by drug taking, the better that treatment options and public policy around drugs and drug users can be, she hopes. The findings come from studies of two special breeds of rats. The breeds enable researchers to observe the effects of genetic and inherited traits on addiction-related behaviors. One breed, called bHR for bred high responders, tends to explore and seek novelty. The other, called bLR for bred low responders, does not. In fact, bLR rats often act anxious when presented with new situations, and prefer enclosed spaces even when they can see food in an open area. Both breeds were developed at the U-M Molecular & Behavioral Neuroscience Institute. They allow scientists to study the impact of drug use and addiction on gene expression and epigenetics in the nucleus accumbens — the brain’s “pleasure center” where response to drugs such as cocaine occurs. Normally, the dopamine system in this area responds to naturally pleasant experiences and prompts us to pursue them again. It’s as if the drug hijacks the system that fuels normal enjoyment or reward. That can make the usual goal-driven motivated behavior that’s driven by pleasure go awry. In the new study, the scientists first trained all the rats to expect to find cocaine in certain places, to poke their nose into a hole to get a controlled dose of it and to expect it would be available when a certain light was shining. Even the timid bLR rats learned to take the drug. Although both groups of rats took the same amount of drug, the two breeds differed dramatically in how likely they were to seek out cocaine repeatedly. The bHR rats were much more likely to keep seeking cocaine, even when it was not available. After a week without cocaine, bHR rats were more likely to “relapse” after getting an injection of cocaine. After a month with no cocaine, bHRs were much more likely than bLRs to start seeking it again when the light previously associated with cocaine delivery shone again. This is similar to what humans recovering from addiction often report: Their craving for drugs returns when they see drug paraphernalia, or return to a place where they once got or took drugs. The research team is now using broad-based genotyping to uncover other genes that contribute to various facets of drug abuse and addiction. These genetic findings will point to potential biomarkers and more targeted treatment strategies for substance use disorders. In addition to Flagel and Akil, the study’s authors include U-M’s Sraboni Chaudhury, Maria Waselus, Rebeca Kelly, Salima Sewani, Robert C. Thompson and Stanley J. Watson Jr., and Sarah M. Clinton of the University of Alabama at Birmingham. The study was funded by the National Institute on Drug Abuse, the Office of Naval Research, the Hope for Depression Research Foundation and the University of Michigan Substance Abuse Research Center. This story was originally published by the Michigan Health Lab Blog on April 26, 2016.